Salesforce has increased its emphasis on the virtues of "social intelligence" with two new tools for its Chatter enterprise social network. Chatter Topics and Expertise will make it possible to analyse and categorise structured and unstructured information within the Salesforce platform. Details of experts, files, groups and other information can be compiled on a single topic page, which is then automatically curated through the Salesforce algorithms. Salesforce claims they will help users discover insights, identify experts and find resources based on topics of interest. It is emphasising how this can help new employees to quickly find information that can help in the job. The move follows the development of other social intelligence tools in Chatter, including Recommendations, Influence and Similar Files. 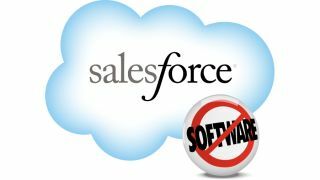 Salesforce cites Vanessa Thompson, Research Manager for IDC's Enterprise Social Networks and Collaborative Technologies, as commenting: "As social software grows into enterprise social networks, solution functionality like profiles, activity streams and blogs have quickly become assumed. Social intelligence will only make enterprise social networks more pervasive by adding context to the funnel of data available and providing insight into past, current and future actions." The company claims there are more than 195,000 active social networks around the world built on Chatter, and that it is used for more than 200 million recommendations each month. It recently launched a cloud service for mobile devices, Cloud Mobile.